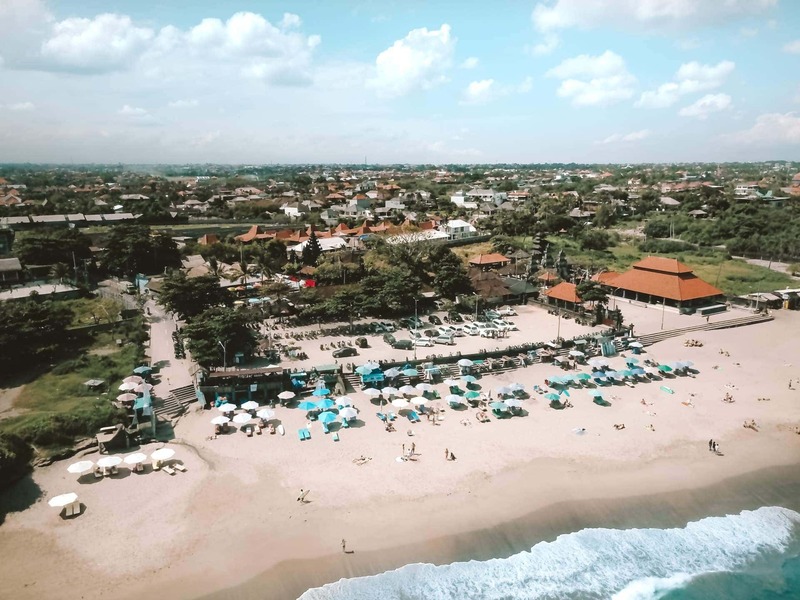 Canggu, a fantastic little town in Bali that is popular among young travelers, surfers, and digital nomads. 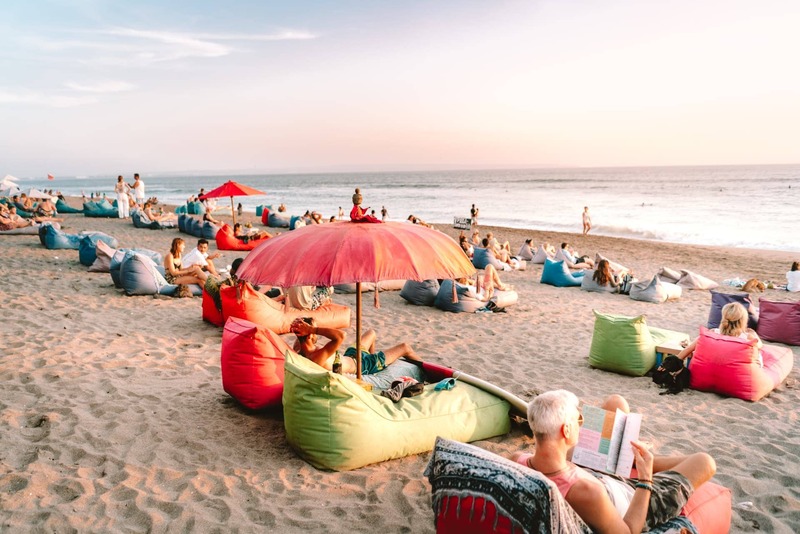 Hidden behind the bigger and busier cities Kuta and Seminyak, Canggu is holding on to a backpack laid-back town vibe where lush green rice fields are surrounding the countless hipster cafes, fantastic restaurants, yoga studios and loads of creative inspiration. 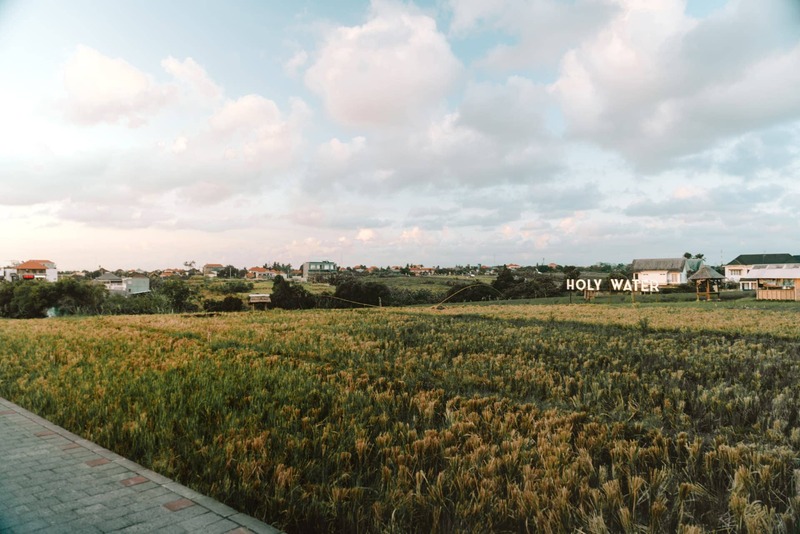 Canggu is split into three major areas; Batu Bolong, Berawa, and Pererenan. 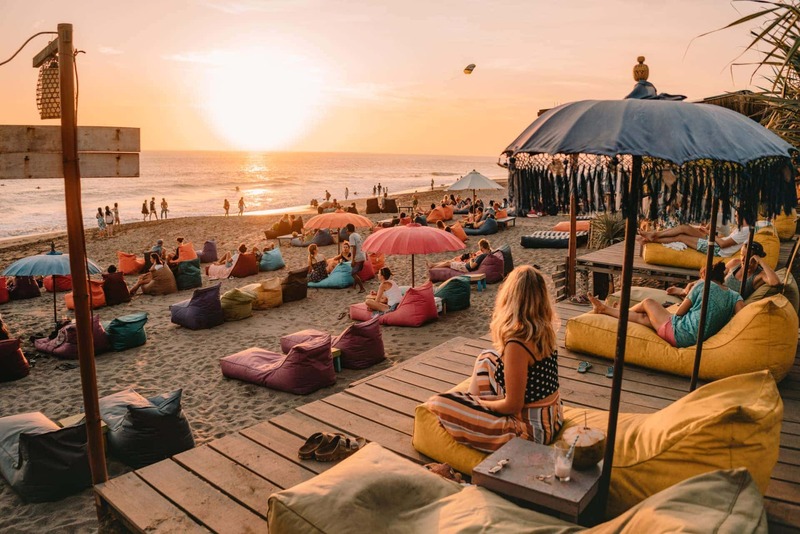 Spend a few nights of your 3-week Bali Route at a boutique hotel, fill your belly with delicious Western and Indonesian food, have a surf and feel the Canggu vibe in these areas. 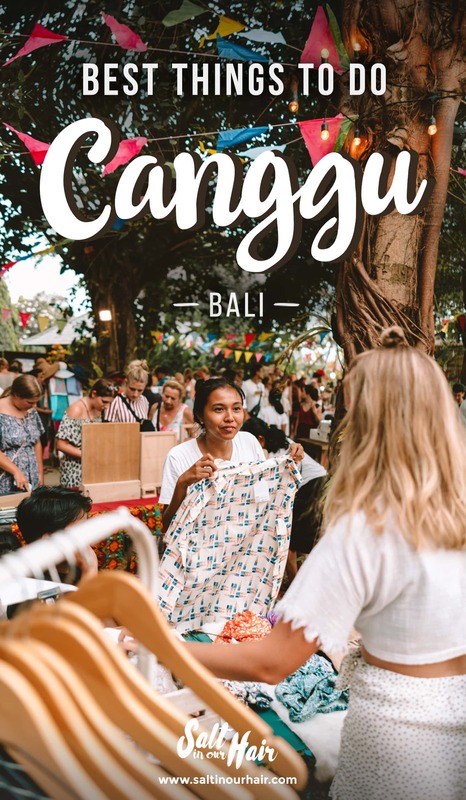 Find out about all the things to do in Canggu. 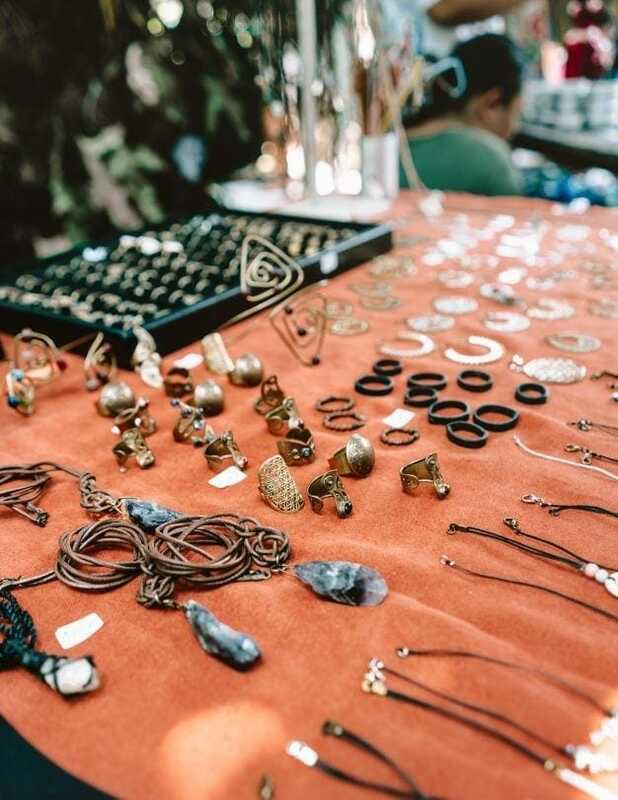 Once or twice the Gypsy Market at La Laguna is held. 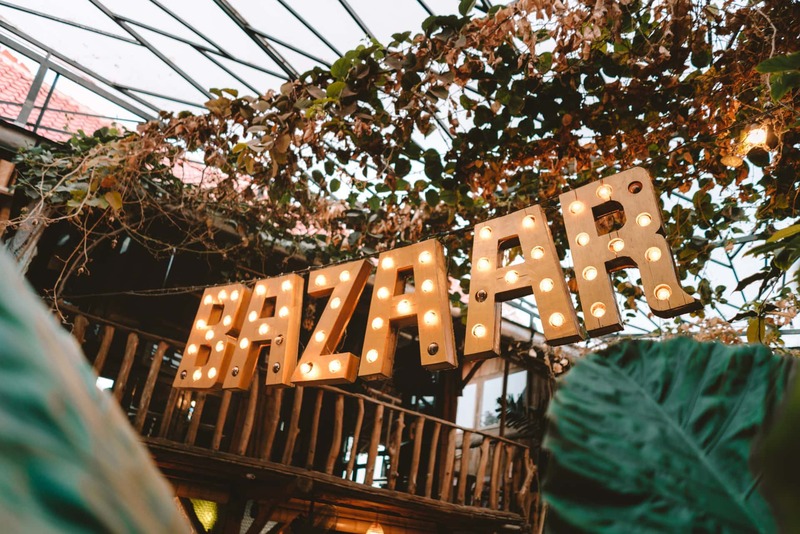 Over 150 stalls selling organical and ecological products, live music played by bands and all at one fantastic decorated location. The products being sold vary from; Clothing, Accessories, Food, Herbs & Spices, Coffee and soo much more. 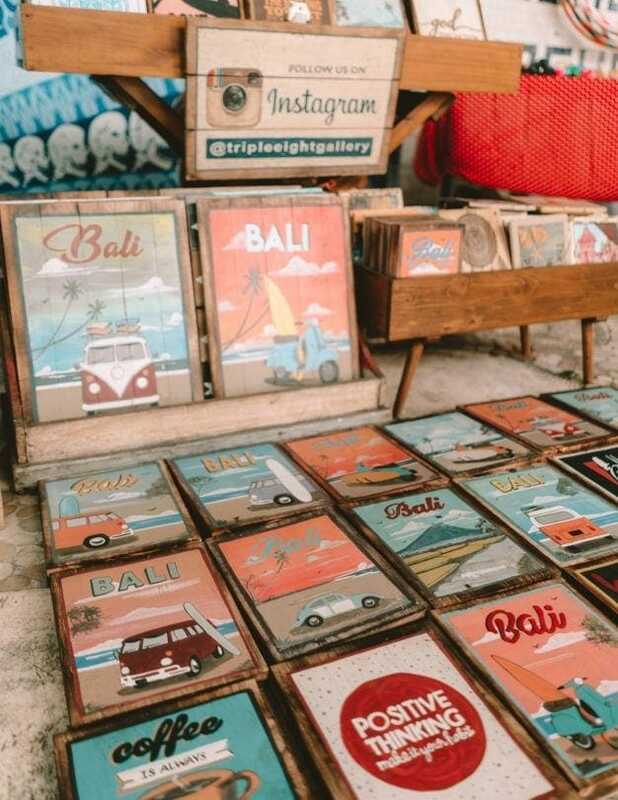 This is, without a doubt, the best market in Canggu. The market is held from 4 PM – 10 PM. Just after sunset, the beautiful lights, live music, and decoration create a fairytale-like scene. The entrance is free and La Laguna is easy to reach by motorbike or car. The event dates can be found on their website here. 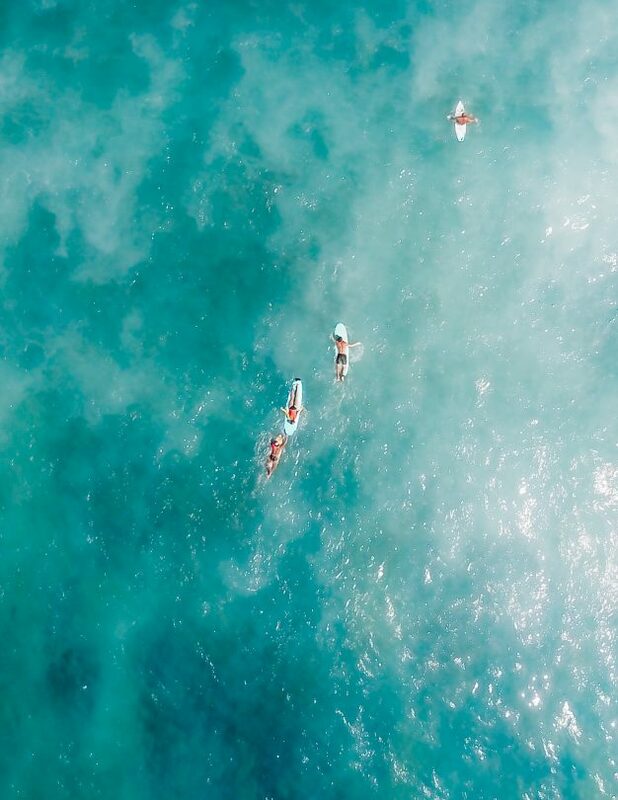 With many, Bali is surfing. Canggu has waves suitable for surfers of every level. Motorbikes with surfboards attached driving towards one of the beaches ready to hit the waves, you will see these throughout the entire day. Expect surfers to be on their boards at 6 AM and can definitely get crowded quickly. Bali surf season runs from May to September although surfing is possible year-round. 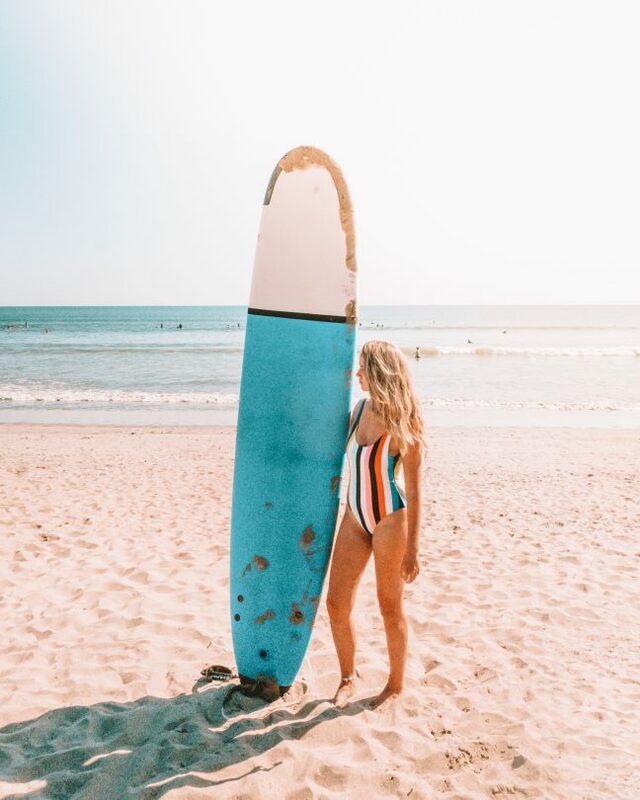 Rent a board or take some lessons and hit the waves! 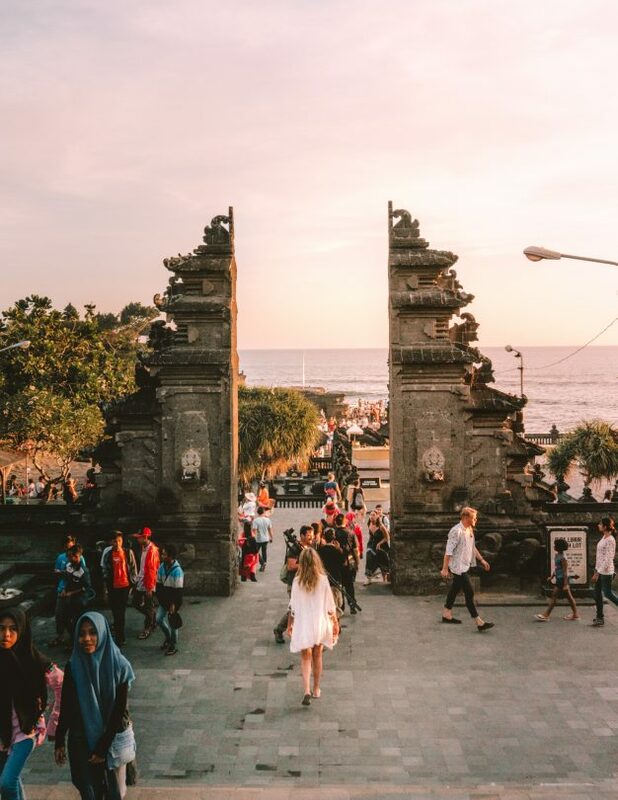 Pura Tanah Lot is one of those things you must do in Canggu. The Pura Tanah Lot Temple complex is a famous religious site located on top of a rock formation. 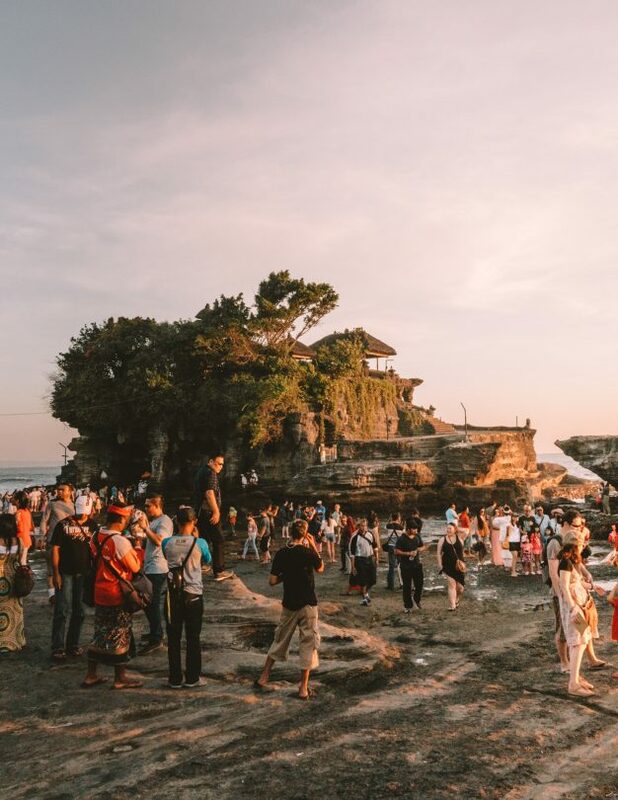 Although Tanah Lot is extremely popular with foreign visitors throughout the whole day, Balinese people still come here to worship the Bali Sea gods. Sunset at Tanah Lot is what made it such an iconic place for Bali. The sea turns to gold and the light shining on Tanah Lot is incredibly picturesque. It is a 30-minute motorbike drive from Canggu. The road is straightforward and safe if you drive normal. :) The entrance fee is 30.000 IDR for children and 60.00 IDR for adults. 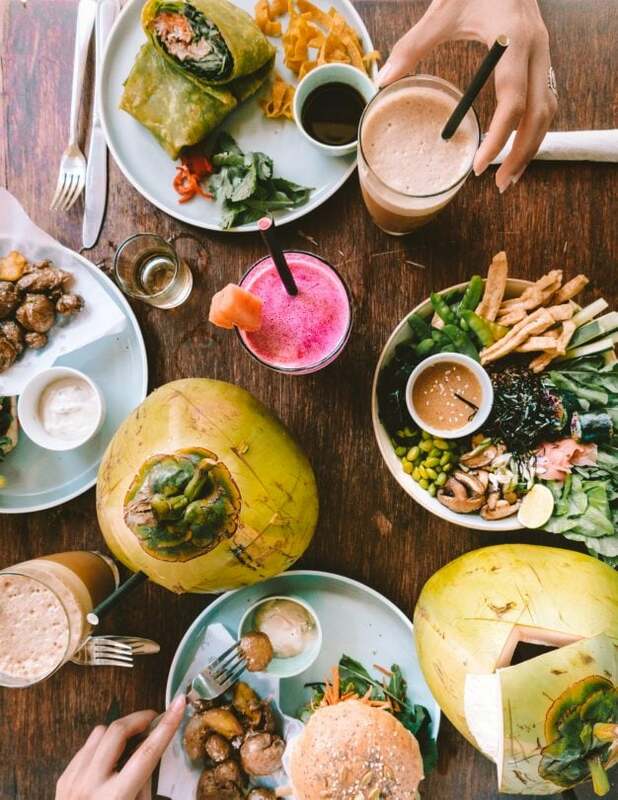 Canggu is literally a food heaven. During your holiday it is possible to have mouth-watering meals every single time you go out for breakfast, lunch, and dinner. 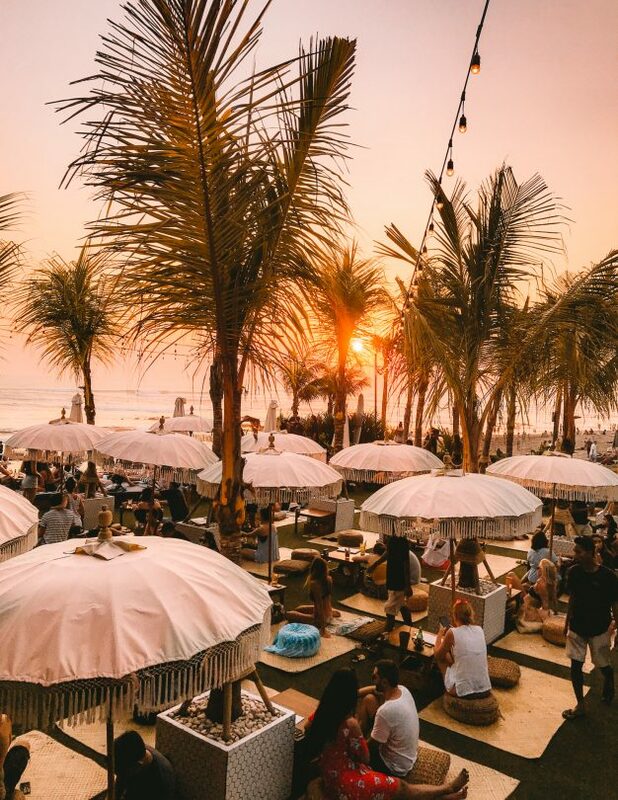 Canggu hosts 311 restaurants and counting. 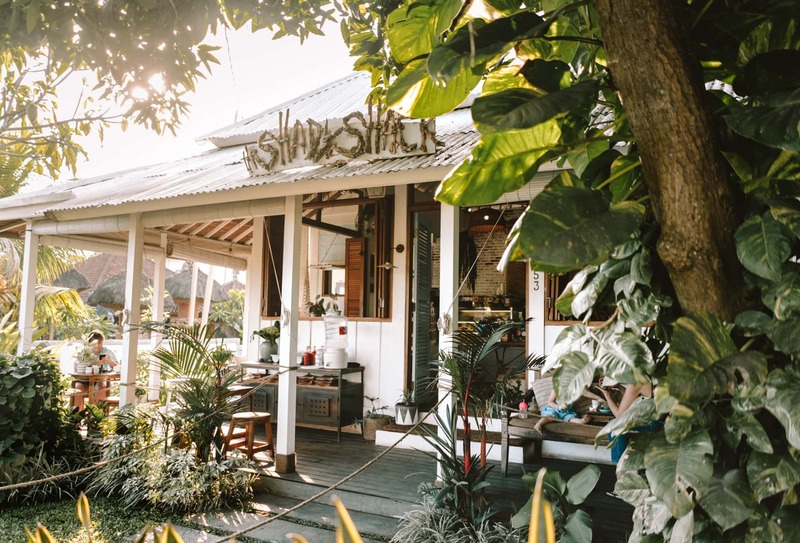 We lived in Canggu for over 5 months and every day we hear about new amazing restaurants. 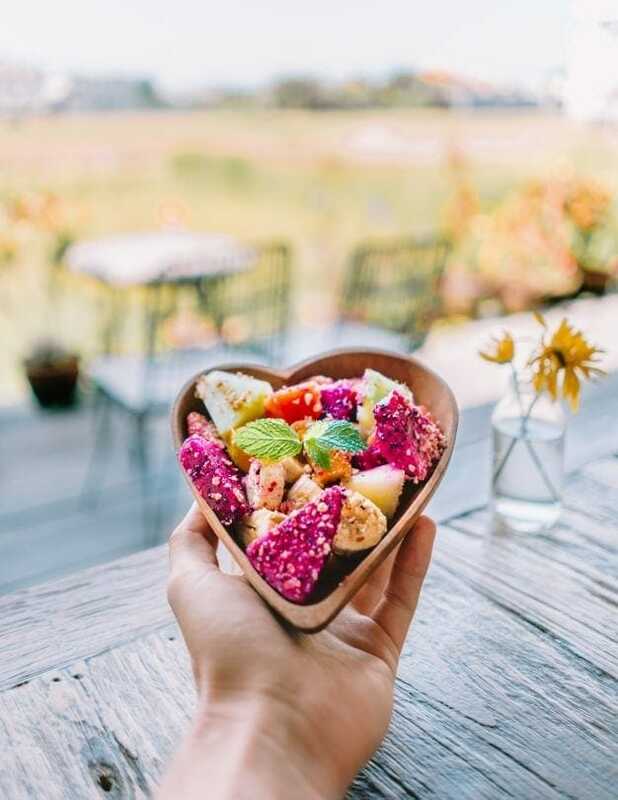 Italian, Thai, Vietnamese, Japanese, Vegan, and of course Indonesian, all top class food experiences and you don’t get disappointed if you visit one of these restaurants in Canggu. 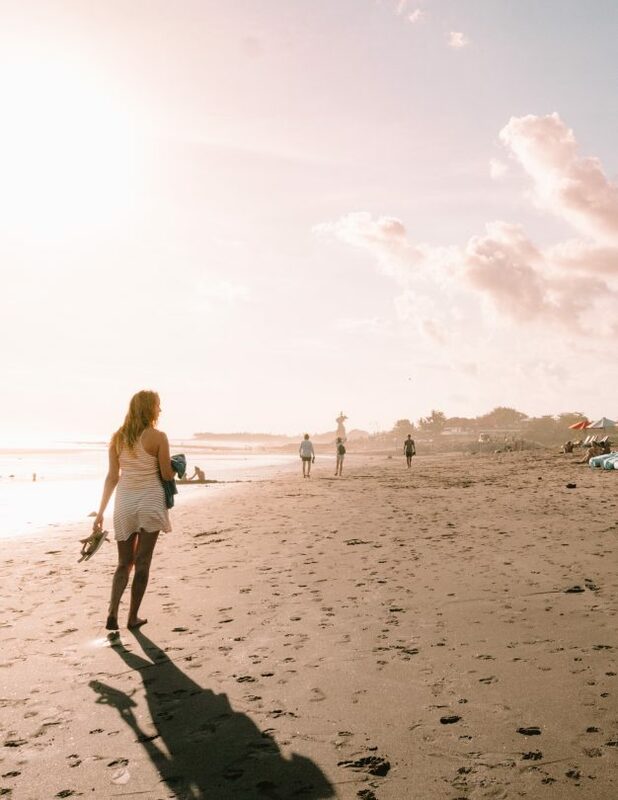 Batu Bolong, Echo, Berawa, and Pererenan are all great beaches in Canggu. It does not have the white sand and turquoise water beaches like Uluwatu and Nusa Penida. However, the beaches offer a chilled vibe with a huge surfing culture. Good to know: Out of respect, wear a top when you are in a restaurant or cafe which is not near the beach. 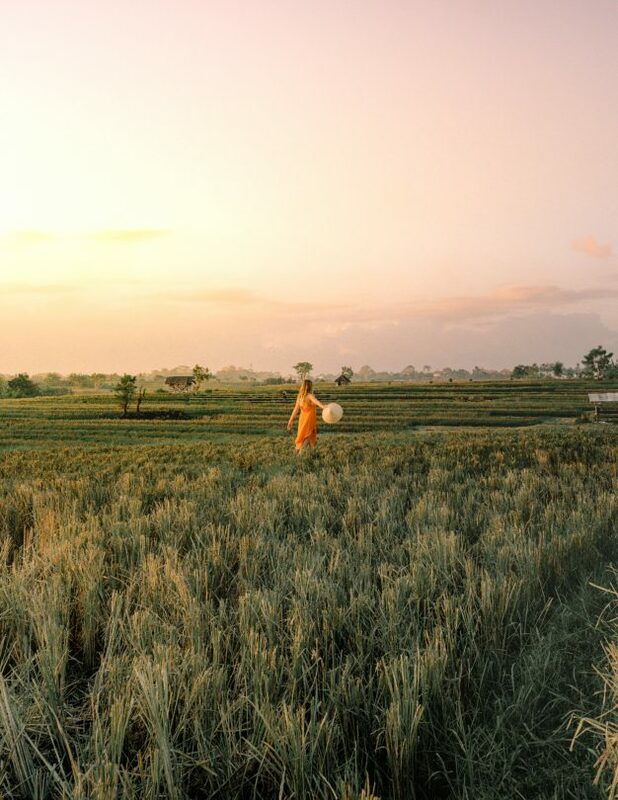 Escape the buzz of Canggu and experience the real Bali culture. 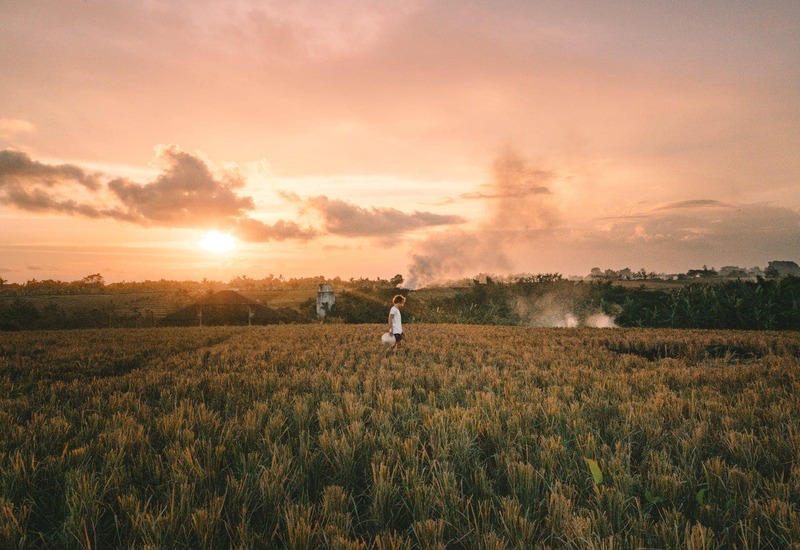 Explore the area from Jalan Pantai Pererenan to Jalan Raya Seseh for the best ricefield views. Enter these street names on Google Maps. Either rent a bike or motorbike to get around since the areas are quite spread out. 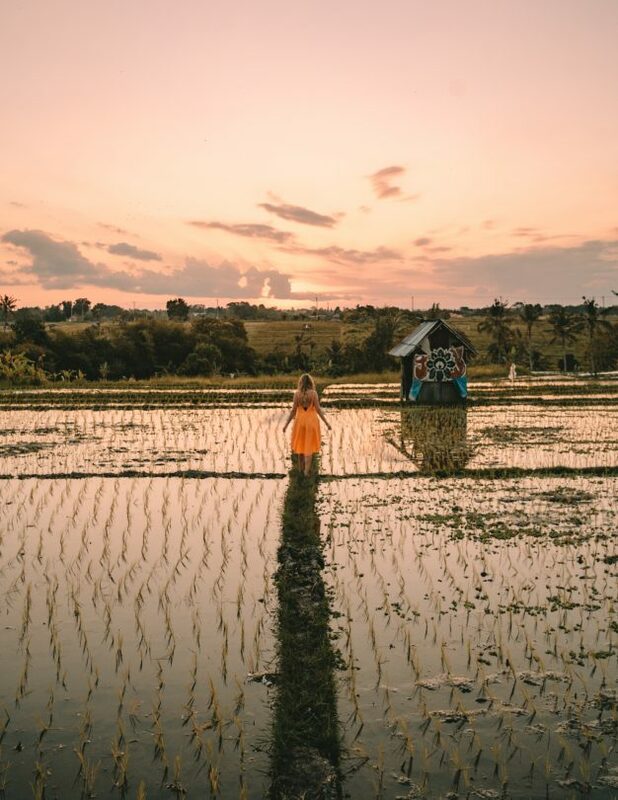 Don’t expect ricefield valleys like the Tegalalang Rice Terraces in Ubud but during the early morning and afternoon, go out there and understand why this is one of the best things to do in Canggu. 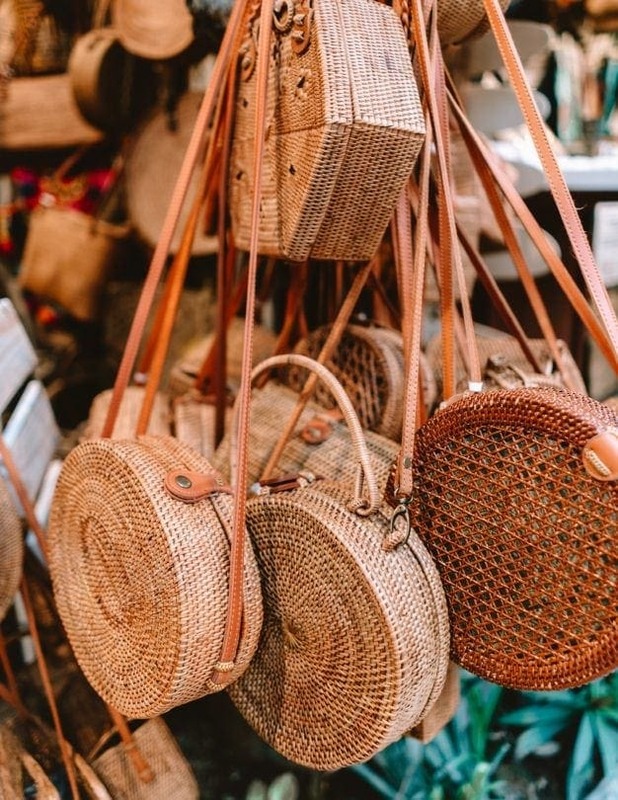 The weekly organic market near Echo Beach is on every Sunday for everyone who likes fresh, healthy and creative. 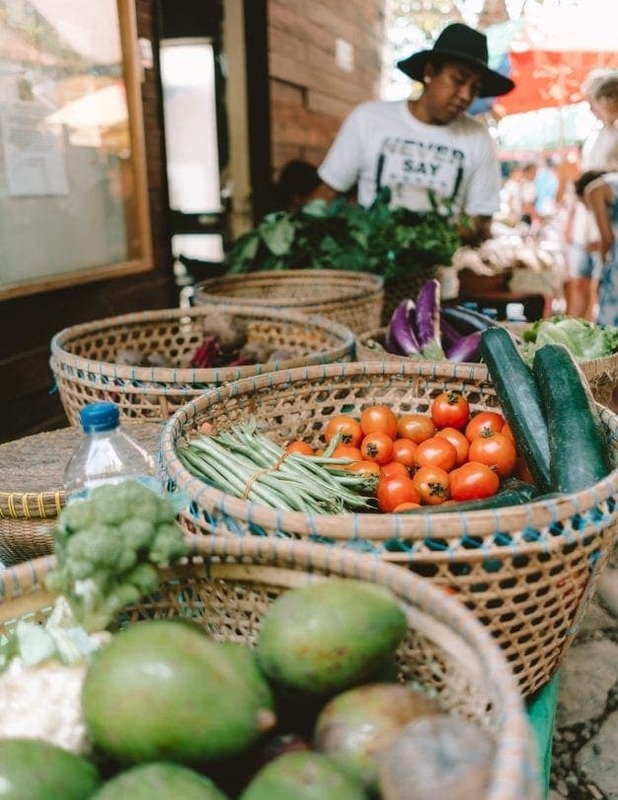 The small market offers local fruits and vegetables, music, baked treats, fresh juices, and organic coffees and chocolates. 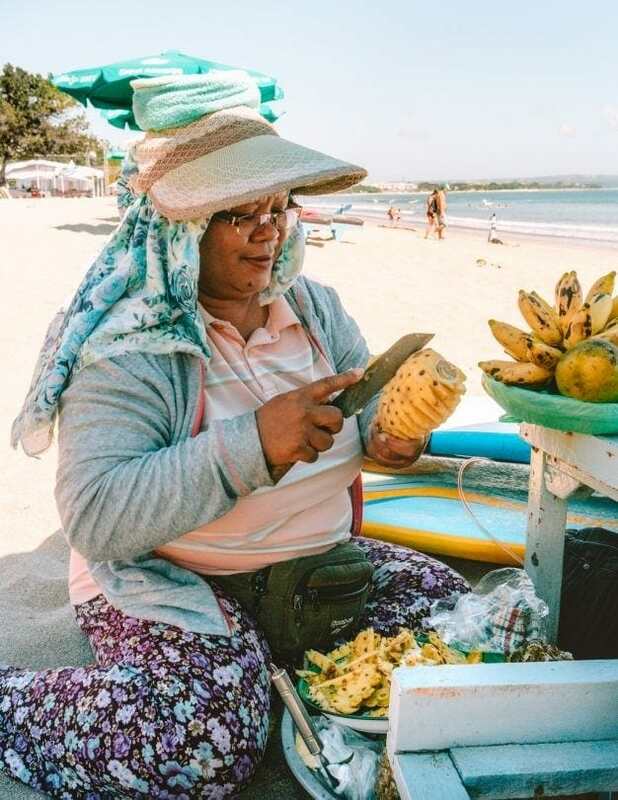 Grab a fresh coconut or Bintang, and enjoy the sunset at Berawa Beach. Just next to the bigger beach clubs like Fins are a few smaller local beach bars with bean bags in front. This is an excellent spot to spot loads of locals walking their playing dogs, all the surfers in the water and see the sun go down in the sea. Tip: From Canggu, you can also do a 3-day Nusa Penida Trip. 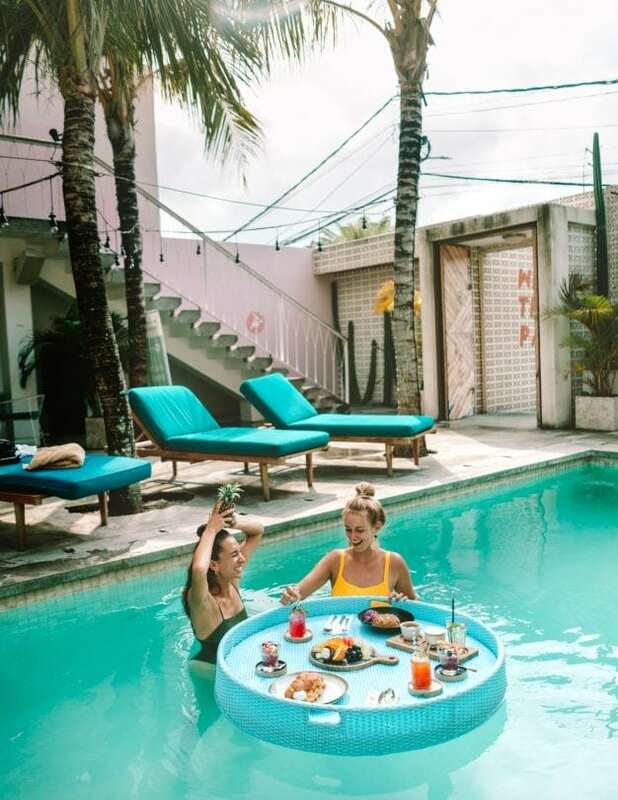 Spend your afternoon at one of the hip pool – or beach bars in Canggu. All beautifully decorated bars Canggu’s best bars are a great place to hang with friends, enjoy music, drinks and a chilled afternoon with friends. Tip: If you don’t feel comfortable spending money here. Go to Berewa Beach at one many smaller beach bars in Canggu. 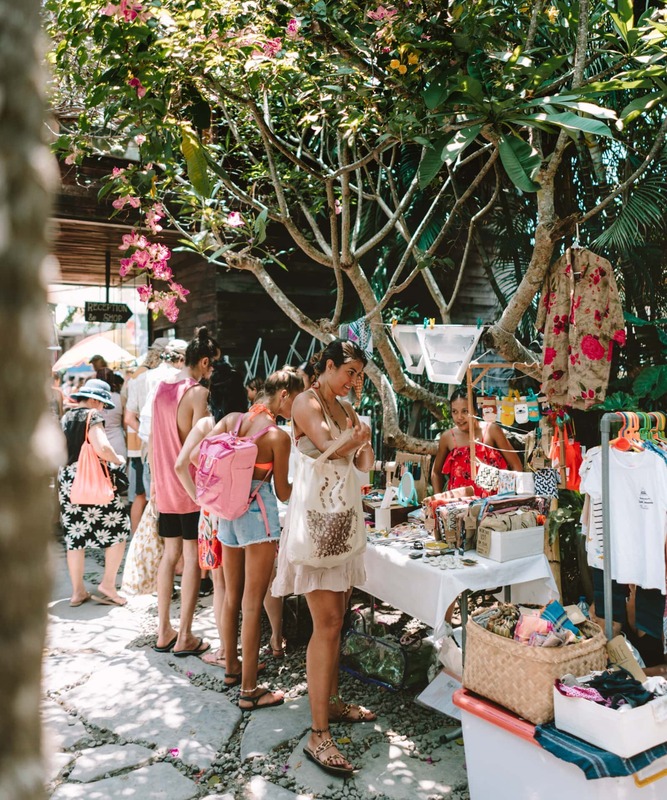 In Canggu, new clothing shops are opening their doors every month. 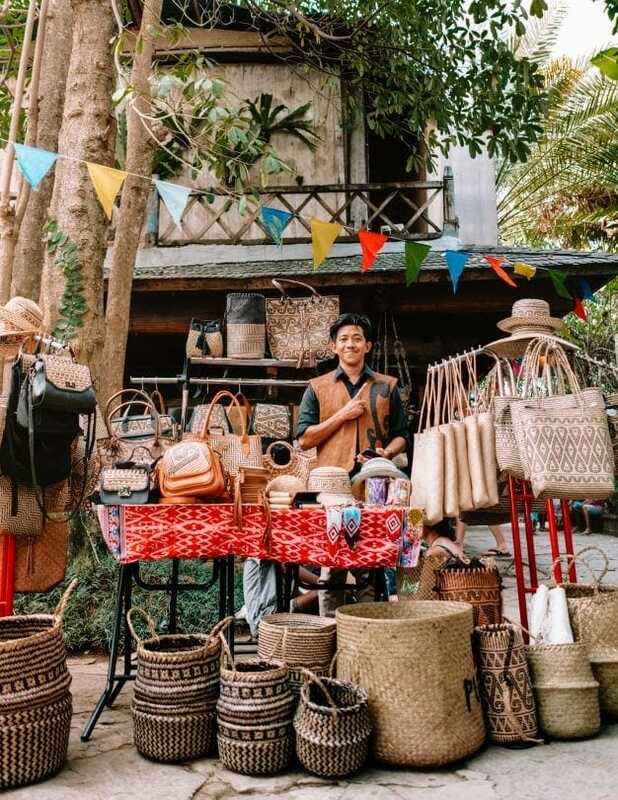 A mix of foreign and local brands selling products like clothing and interior. 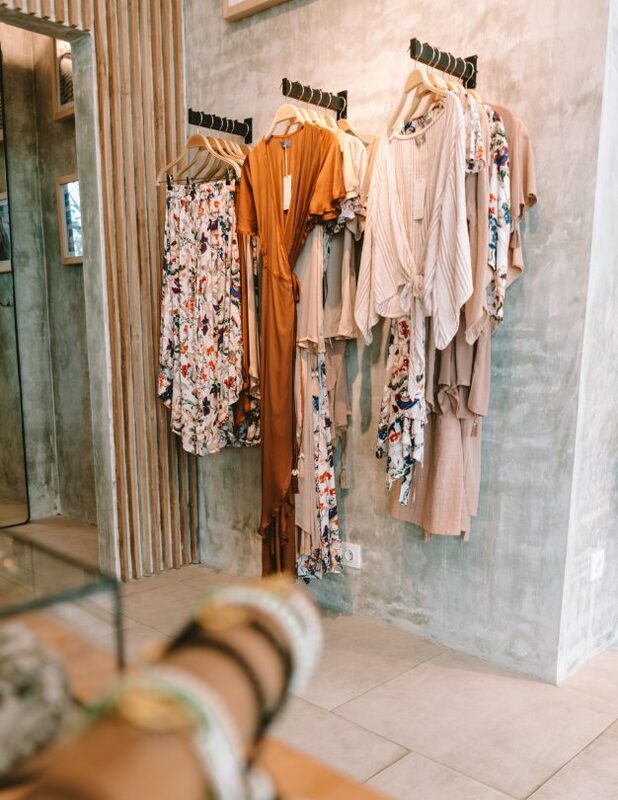 Some shops are more hidden than the other, follow our Canggu shopping guide to find our favorites. 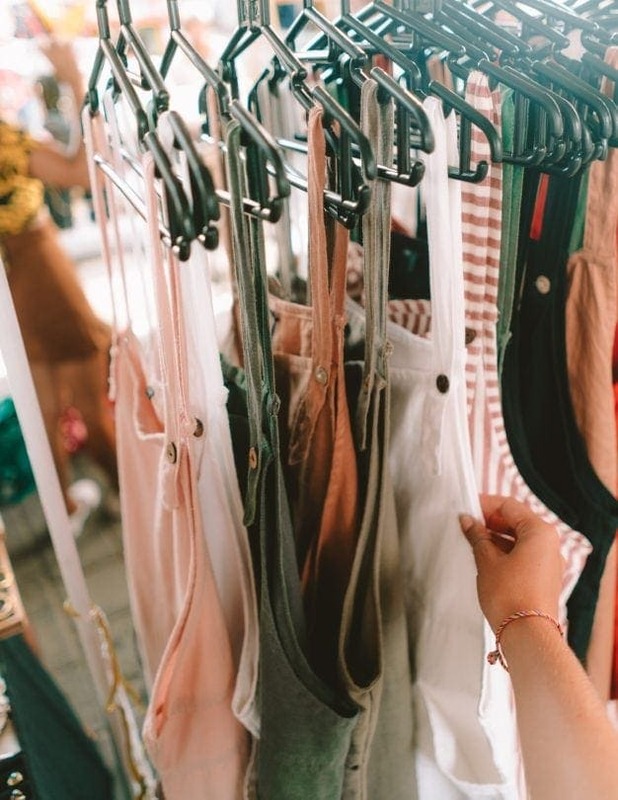 Tip: For the best widest shopping selection you have to go to Seminyak and Kuta. 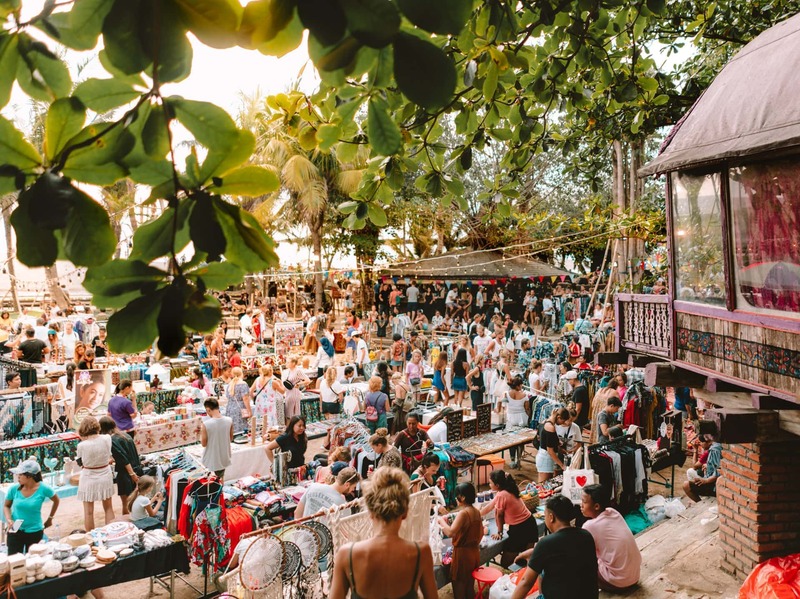 Old Men’s is one of Canggu’s well-known bars to have a drink or good party until the early hours. 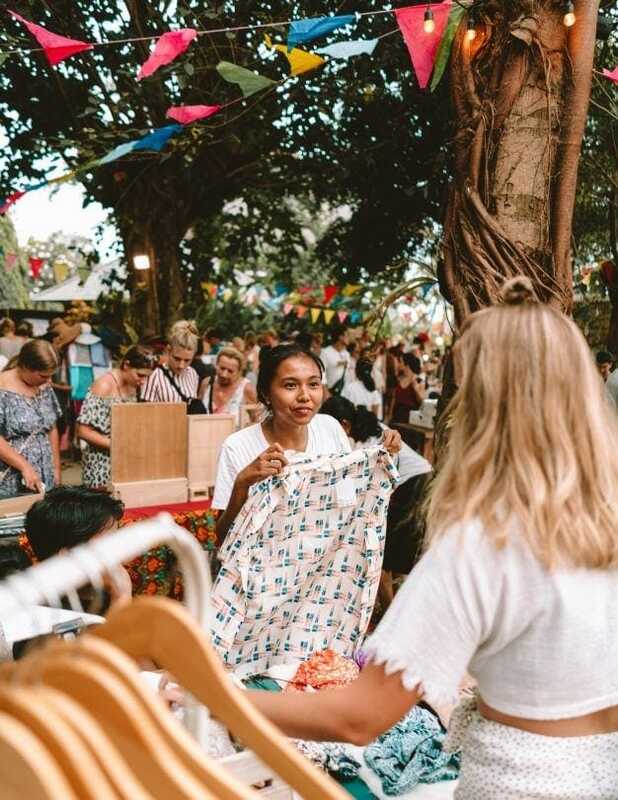 Every last Sunday of the month Old Men’s bar transforms into a great market filled with clothes, handmade items, organic veggies, and so much more! Crossfit in Bali is, like Yoga classes, extremely popular. 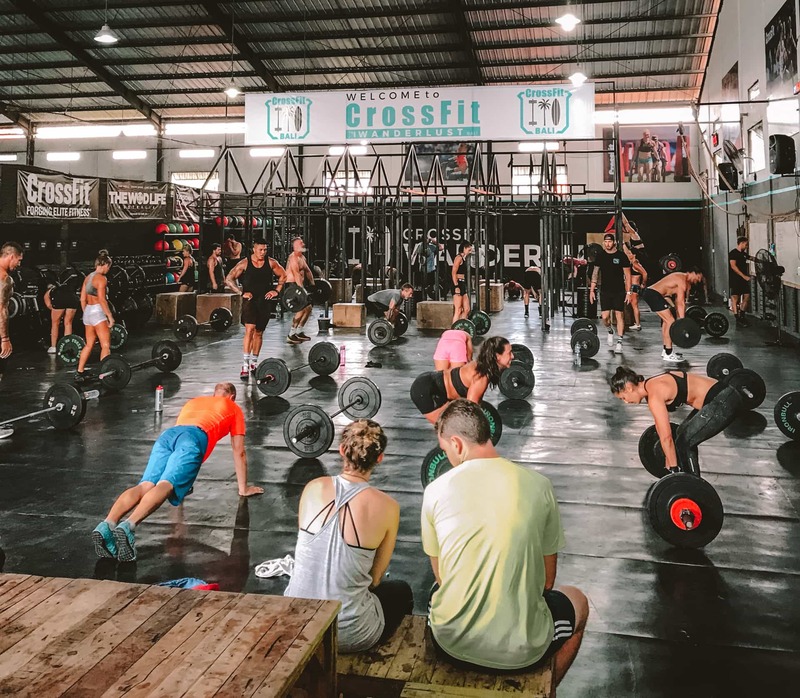 World-class Crossfit lessons are given in Canggu at three locations: Crossfit Wanderlust, S2S, and The Nest. The classes can be joined as either a beginner, intermediate or advanced Crossfit person. Now, the prices for these lessons are definitely not cheap, expect to pay the same price as you would back home. Read our guide on how to start a travel blog. You want to spend time in paradise? Take care of it. 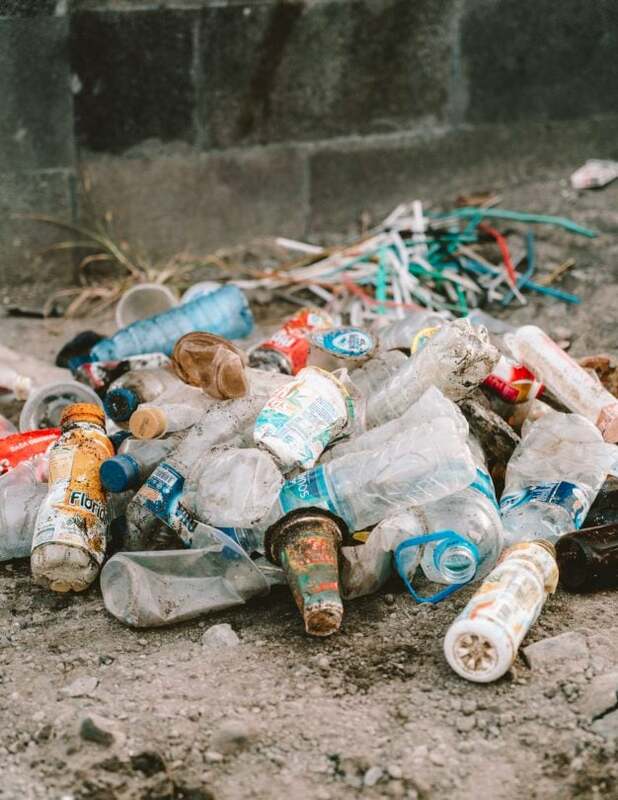 Unfortunately, clean ups are needed all over the world and luckily companies like TrashHero organise these weekly! 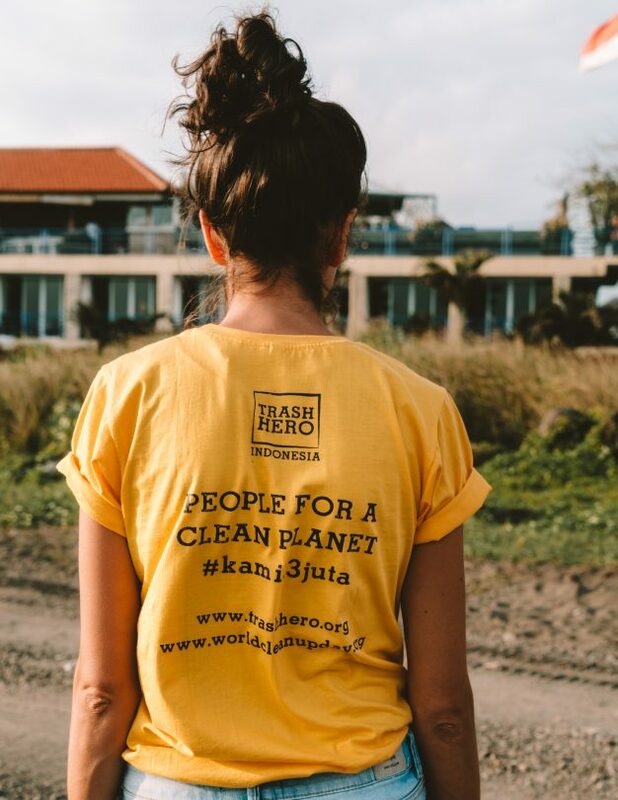 It is easy, you meet new people, help Bali and inspire others to do the same. Find all clean-ups here. 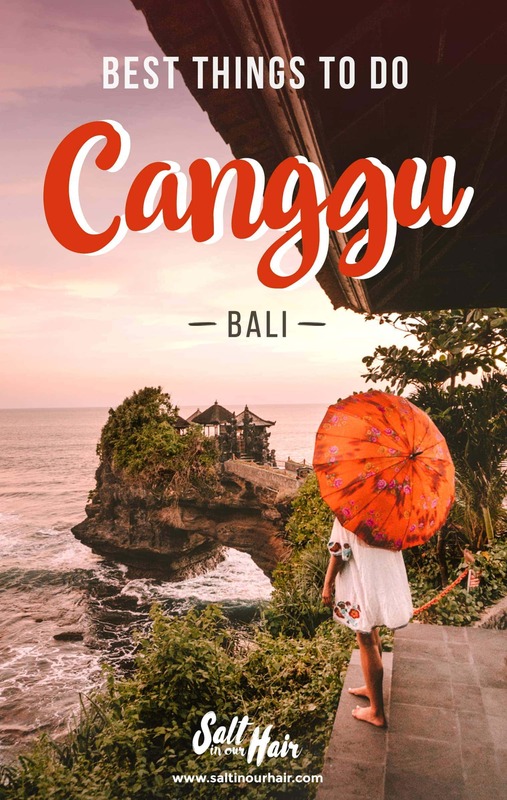 Canggu is a 1-hour drive from Bali International Airport. A fair price from the airport to Canggu by taxi is 150000 IDR (~10 USD). Alternatively, Grab Taxi is available but not accepted/supported by the locals with causes some trouble. If you want a Grab Taxi, you would have to walk a little outside the arrival terminal towards the main road. 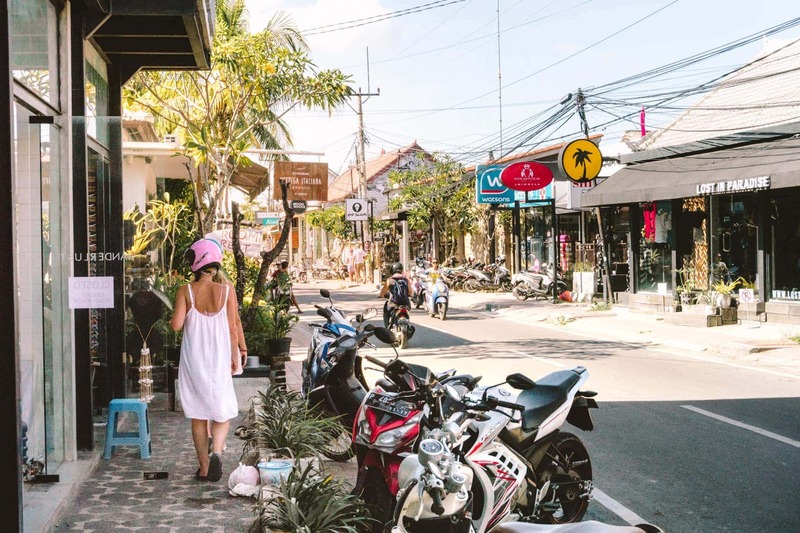 There are three main streets in Canggu that all lead down to the beach. The famous Shortcut, a road through the ricefield, is one of the narrow roads that connect these main streets. Bicycles are a fun way to get around Canggu. Contact our Balinese friend Yande and his team on Messenger. Due to Canggu’s popularity, we would say we only recommend you to drive motorbike when you are 100% comfortable on it. Daily rental would cost you anywhere between 50.000 – 70.000 IDR per day. Monthly rental should be around 600.000 – 900.000 per month. 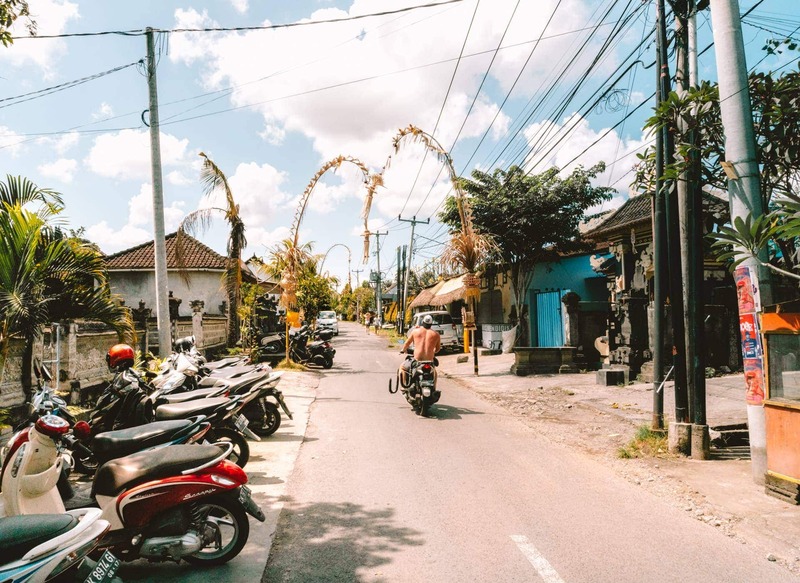 The shortcut and main roads in Canggu are definitely challenging on a motorbike. Gojek or Grab motorbike taxis are the perfect solution to get around. Locals and expats use this service every day and it’s very affordable, safe and quick. 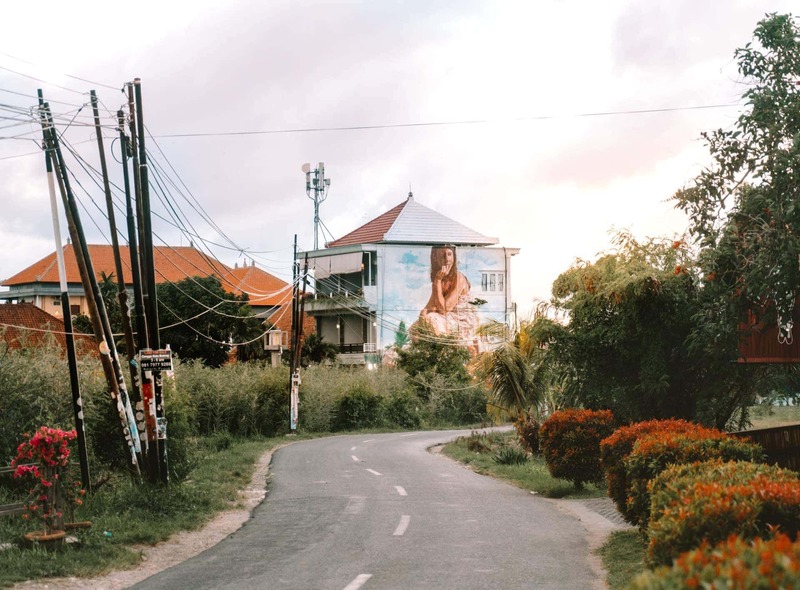 Canggu has three major areas that all offer a different Canggu experience. Batu Bolong is the main area where all the major shops, bars, and restaurants are located. For good walking distances, this area is your best pick. 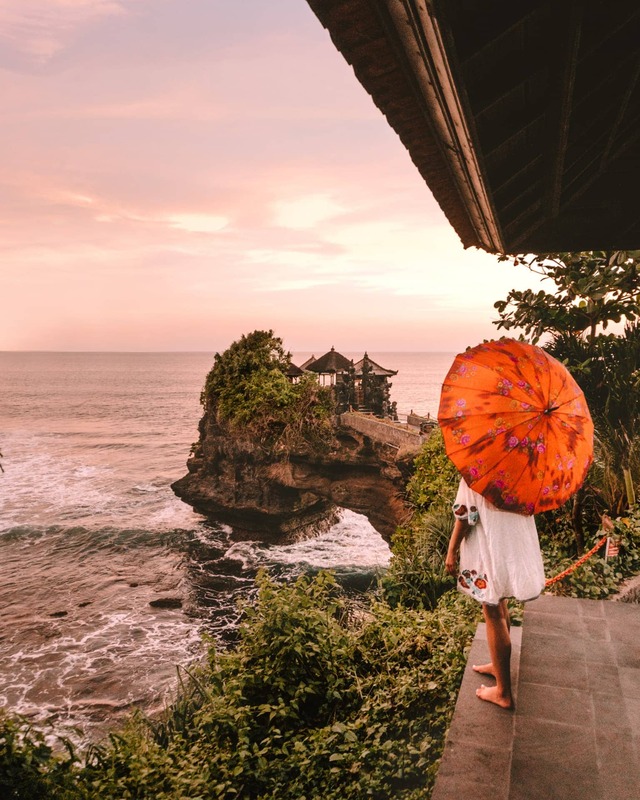 ➳ Find hotels in Batu Bolong. Berawa is super upcoming, loads of fantastic restaurants and shops have just opened their doors. It a little less crowded and still a bit mixed with local life. ➳ Find hotels in Berawa. Pererenan has the best beach, close to the rice fields and is very peaceful. The only downside is that you have to drive 5 – 10 minutes to Batu Bolong for all the hip restaurants. ➳ Find hotels in Pererenan. Your own cozy place with a pool! Pretty stay on a great location!